Do you feel joy every day? Do some days you feel like you need an extra word of encouragement to remind you of the joy of Jesus in your life? 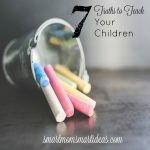 Today, I am sharing two 5 minute Christian devotionals that will help bring back joy to your life you as a mom. The first one is 5 Minutes with Jesus: A Fresh Infusion of Joy. The second book is 40 Days to a Joyful Motherhood: Devotions and Coloring Book to Nourish Mom. Note: I would like to thank the Litfuse Group for providing me a review copy of 40 Days to a Joyful Motherhood and Book Look Bloggers for providing me a review copy of 5 Minutes with Jesus. All opinions in this post are my own. For your convenience, I have included affiliate links. Read my full disclosure policy here. The devotional readings in this book are 5-minute daily readings for moms that will focus your mind and heart on the joy that Jesus brings us each day. The readings start with an example or story from real life that you will help you relate to each day’s reading and close with 4-5 scriptures to encourage you. I was especially encouraged by this book because the author seemed to select the perfect passages to speak to me. She selected favorite and well-loved Bible passages that remind us of God’s love, hope, and assurance of comfort and peace. This book is the perfect size for your purse or tote bag. It’s easy to carry with you. As a busy mom, you can take 5-minutes to read a passage when you are waiting in line to pick-up your children at school or in the doctor’s office. I was interested in 40 Days to a Joyful Motherhood because of the coloring book. I enjoyed how the coloring book was incorporated into the devotional. Each devotional reading has a Bible verse, a short reading (about 5 minutes or less) and coloring page. The readings in this devotional are a little different – they are part inspiration and part “how-to”. In each section the author suggests an area of your life that may cause stress or take away your joy of motherhood, then she offers you ideas and suggestions to bring back your joy in motherhood. For example, on day 11, the author talks about sadness moms feel about missing activities from their life before they were a mom and their life after becoming a mom. She encourages us to find ways to include hobbies and interests from our pre-mom life in our mom life. Every devotional in this book includes a coloring page to complement the daily reading. I enjoyed the readings and coloring pages. The coloring pages are unique, easy to color and hand drawn. My daughter and I even colored one page together. 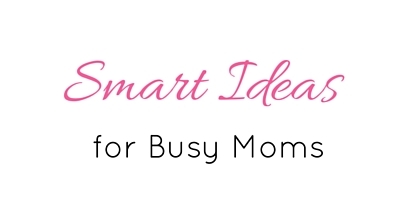 We are all busy moms, but we don’t want to neglect time with God. These two devotionals provide moms encouragement and inspiration in your journey as mom. How do you spend 5 Minutes with Jesus each day? Do you have a favorite mom devotional?